From Empress Farah and the secrets of the treasure of Iran, to Queen Marie Amelie's missing emeralds, via Fantomas and the blood-red rubies of the kings of Burma, entering the world of Van Cleef and Arpels is like embarking upon a fascinating treasure hunt. In this book, Vincent Meylan explores a century in the history of one of the most prestigious Parisian jewelry dynasties. He opens doors and unlocks caskets to reveal the mysterious, and sometimes fantastic, stories of its clients and the fabulous and exceptional stones that they entrusted to the golden hands of Van Cleef and Arpels. The Maharani of Baroda, the Duchess of Windsor, Princess Lilian of Belgium, Elizabeth Taylor, Marlene Dietrich, Princess Grace of Monaco, Maria Callas, Barbara Hutton and the Countess of Camargo they are all the heroines of this incredible epic full of rubies, diamonds, emeralds, and sapphires. 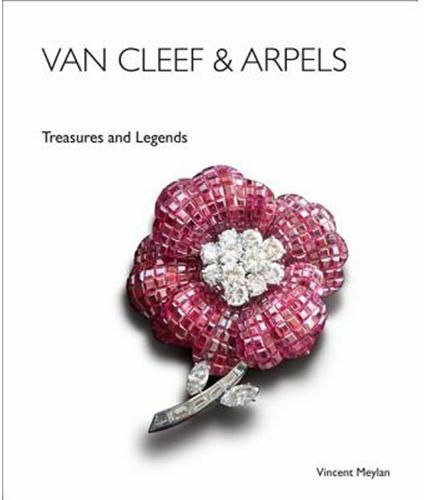 Van Cleef and Arpels Treasures and Legends is full of extravagant fairytales and fascinating behind-the-scenes revelations. It also tells the sometimes troubled story of a dynasty of jewelers, of gifted men and women who have, for over a century, helped to shape that inimitably Parisian art de vivre that is the envy of the world.